While riding around a known rock bluff that usually slides naturally over waterfalls. 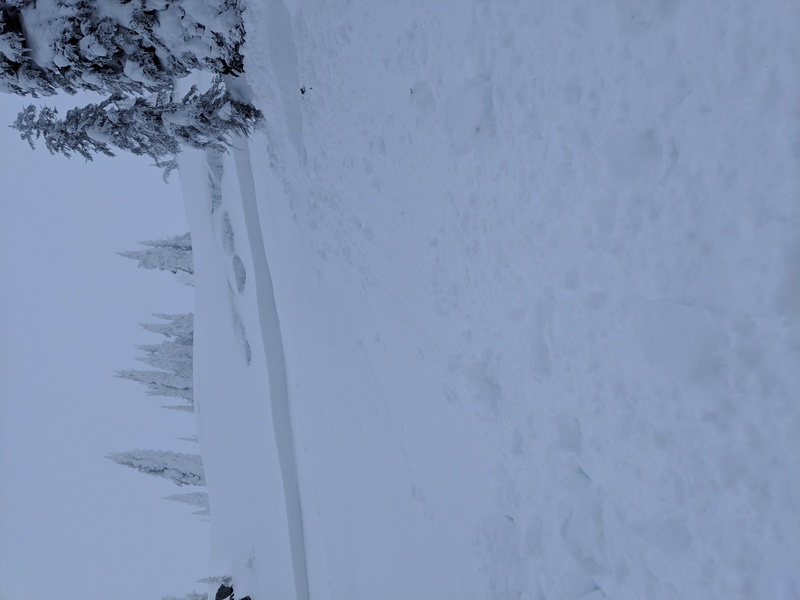 After shutting off sleds we heard a pop up near the the slide zone where a 2-3ft storm slab broke loose sliding 150ft down the hill. Stopping in the trees below. After checking out what slide I went into the small slide to check out what it slide on. It appeared to have slide on a 6-9cm firm crust which appeared to be sun baked. What I found interesting below that layer was a crystal clear ice layer that was 2cm thick. Below the ice layer was very light density snow that bonded very well with the layers below.